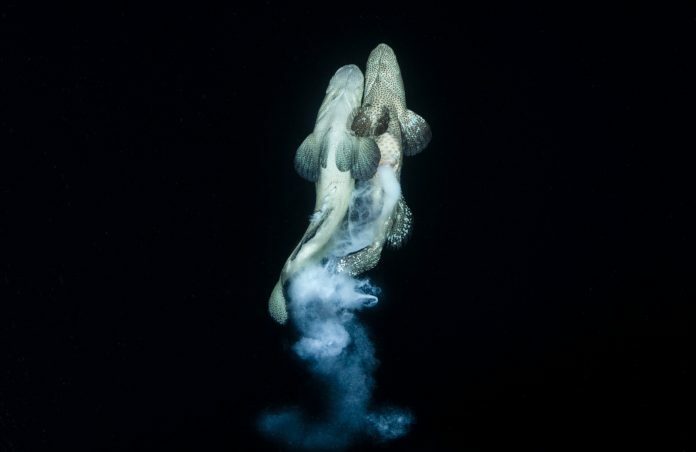 Richard Barnden was named Underwater Photographer of the Year 2019 as well as British Underwater Photographer of the Year 2019 with this image entitled 'The Gauntlet'. 1How did you get started in underwater photography? After working as a diving instructor on the Great Barrier Reef in Australia, I was travelling around the Pacific and South East Asia. I kept hearing about this place called Palau and how amazing it was, and inevitably dreamed of working there. 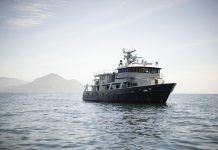 One day I saw a job vacancy for a video pro on The Big Blue Explorer, a liveaboard in Palau. I basically bought an old Sony VX1000 with an Amphibico housing near from where I lived in Brighton, in the UK, and spent a month in Egypt’s Dahab learning how to use it. I made a very average show reel and sent it to them. To my surprise, they liked it and hired me. From there, I spent the next five years diving five times a day and making weekly videos for their guests. My next transition to stills photography came when I started learning about spawning aggregations. I knew that I was gradually building a new type of diving product and had to show people what I was witnessing. I can honestly say from that point on I got totally obsessed with the challenges of photographing marine life behaviour and trying to portray a story in one single image. 2What came first – diving or photography? Diving came first for me. I worked for years as a PADI instructor before even thinking about photography. My first introduction to photography or filming was while I was working in Cairns, Australia. I would take my students on their open water courses which would be filmed by an underwater cameraman. I soon became interested in this side of the diving industry and my passion turned from teaching into underwater photography. I continued teaching for a few years before I could afford a second-hand sony VX1000, then this journey started. 3What’s in your underwater photography kitbag? The Nauticam housing ND810, a Nikon D810, a 15mm Sigma lens for wide-angle, a 60mm Nikon for blackwater or macro and a 16-35mm Nikon for anything that does not come close. I rarely use a zoom lens unless I absolutely have to. I find the images from a fish-eye much more attractive underwater, however it means you have to get much closer to your subjects. There are some subjects that just don’t come close and that’s when my zoom lens comes into play. 4Favourite location for diving and underwater photography? Palau. 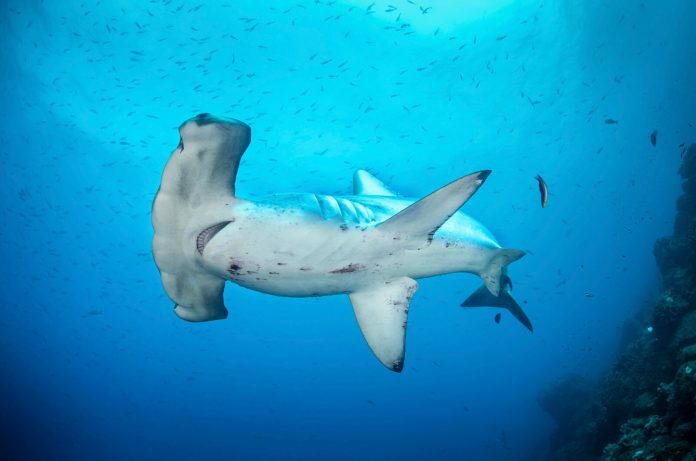 I spend nearly six months a year diving there. It has everything you need to practice as an underwater photographer – wide-angle, unique spawning behaviour, tons of sharks, WWII wrecks, macro, jellyfish lakes, marine lakes and mangroves… the list goes on. A blue-lined sea bream (Symphorichthys spilurus) spawning dive in Peleliu Island, Palau. 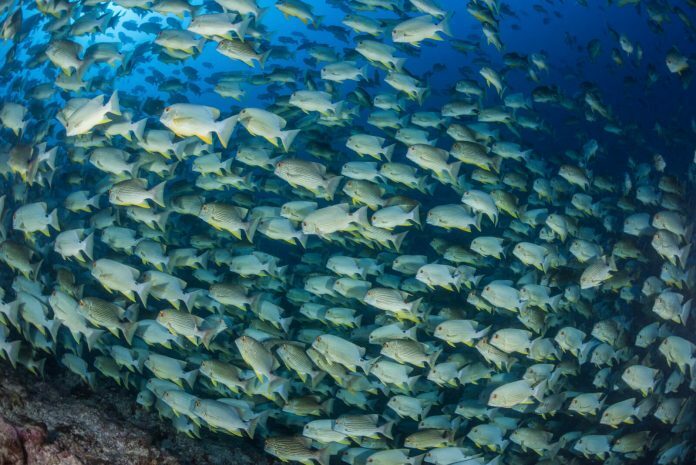 Like all the spawning dives in Palau, there is an exact science to the spawning times and that means you jump when the time is right – current or no current. The spawning area is generally where the current leaves the reef resulting in strong down currents. Not only that, but at times the sea bream like to spawn at 50m plus. We have to use rebreathers to stay longer to observe this behaviour, and this combined with strong down currents can be really challenging. 6Who are your diving inspirations? – Laurent Ballesta and his team for taking diving expeditions and research to the next level. 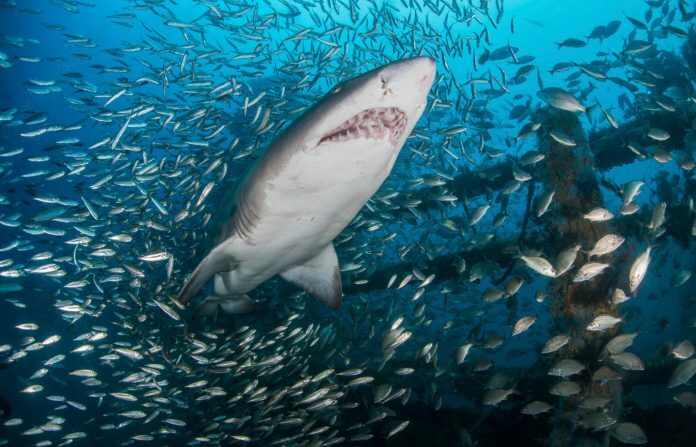 7Which underwater locations or species are still on your photography wish list? Last year I found an ancient eel (Protoanguilla palau) at 60m. It was only the second time this species had been discovered. I remember being fascinated watching a species that was estimated to be 250 million years old. I guess you could call it Palau’s mini coelacanth – the adults are only 12 inches in size. Therefore a real coelacanth would have to be one of my top species to photograph. I have a long way to go before I am ready to dive to 150m though, so I guess that one is going to have to wait! 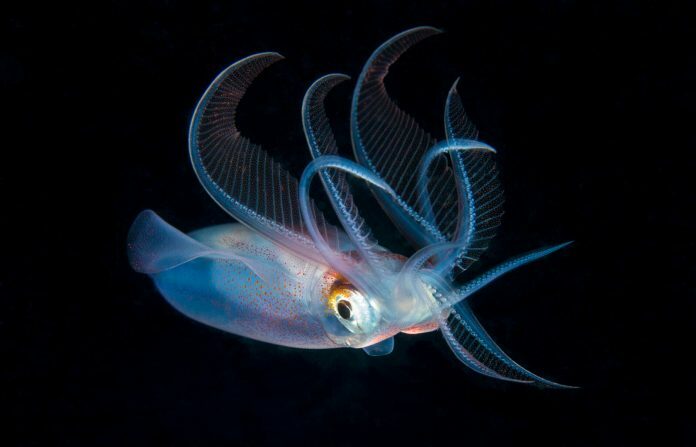 8What advice do you wish you’d had as a novice underwater photographer? Try to make sure your set-up is technically correct and that you use the right dome ports with your lens choices. I wasted hundreds of soft corner images using the wrong combinations. Also, concentrate on your lighting. Lighting is the key to beautiful images. 9Hairiest moment when shooting underwater? Having a pack of grey reef sharks hunting a parrotfish that’s coming straight towards you is pretty hairy. However, one morning while looking to photograph cetaceans with my friend Ron Leidech, we came across a group of ten sperm whales. Leaving the boat a good distance away from them so as not to scare them, we entered the water. I was meant to look right and start swimming toward the whales, however something made me look in the opposite direction. Looking right at me was a 300lb marlin and for some reason it wanted to charge me. It did this about three times and then swam off. I don’t think it was meant to be an aggressive encounter but having that bill inches from my camera was a little terrifying. 10What is your most memorable dive? 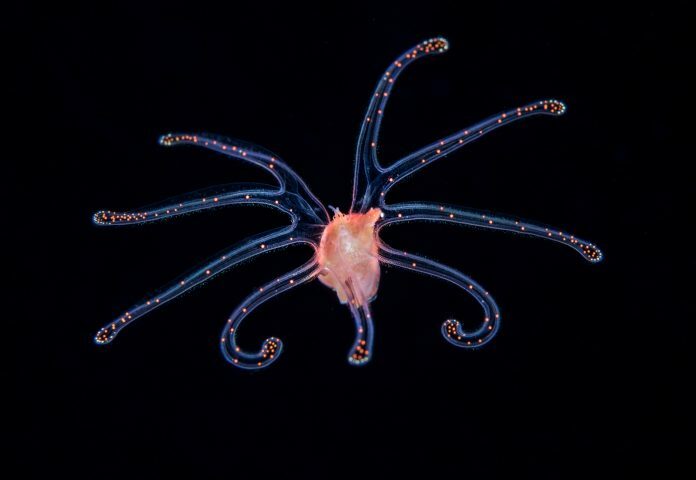 Richard Barnden was named Underwater Photographer of the Year 2019 as well as British Underwater Photographer of the Year 2019 with this image entitled ‘The Gauntlet’. My most memorable dive would have to be the night dive in Fakarava that won me Underwater Photographer of the Year 2019. That night was the third time we had dived the south pass and the hunting action was intense. 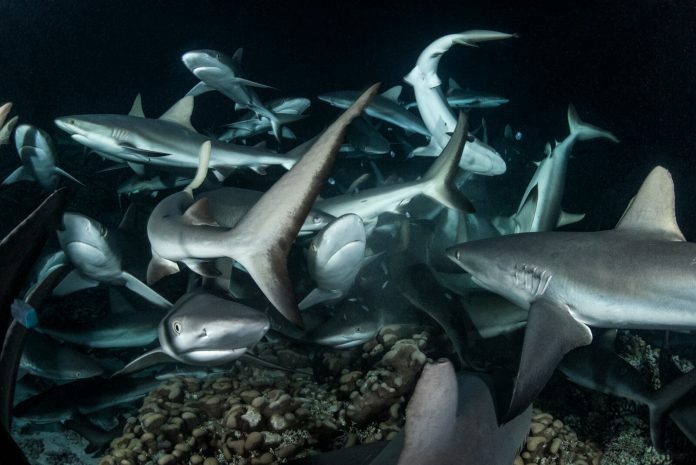 As soon as we descended there were hundreds of sharks covering the bottom and you could feel the adrenaline vibe in the water. Each night we watched how close we could approach when the hunting was happening, but I never expected to walk away with a predation shot right in front of my camera. One of the best things was that most of my closest friends were also on that dive, so to experience all of it together and then have it remembered by winning the competition is just magic. 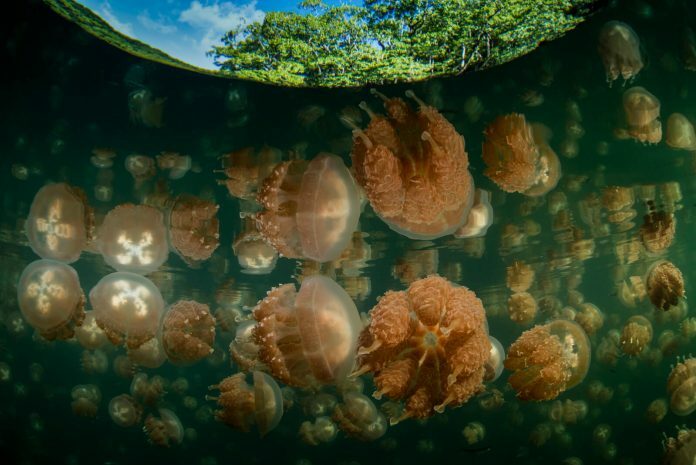 Richard Barnden has been guiding underwater in Palau for nearly 15 years. His passion is in unique underwater imagery, specialising in spawning aggregations and black water night diving. 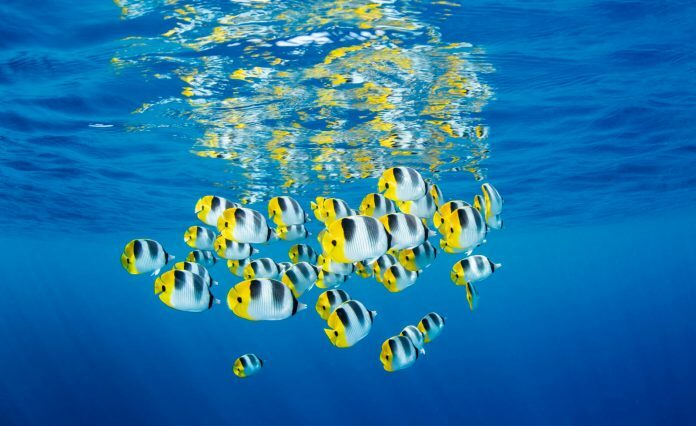 He has spent more than ten years researching spawning aggregations and their predictabilities, returning to Palau every six months to continue unravelling some more of their hidden formulas. In 2012, Richard and Paul Collins co-founded Unique Dive Expeditions, a product of Sam’s Tours which was the first educational diving product of its kind targeting spawning events for recreational scuba divers. These spawning events are tailored around lunar phases to observe fish reproduction, mainly during the early hours of the morning. By night Richard spends most of his time drifting in the middle of the Pacific photographing blackwater diving. Most recently Richard, Paul and their Unique Dive Expedition team, were the pioneer dive crew to crack the spawning timing of the camouflaged grouper (Epinephelus polyphekadion) in Palau, something that took them almost seven years. Three years later in 2018, Richard and Paul put together a team of JJ-CCR closed circuit rebreather divers to try and uncover some of the similarities and differences between the same species of grouper spawning in Fakarava, French Polynesia and Ulong Channel, Palau. 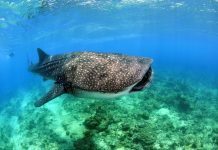 Although primarily there to document the grouper spawning, Richard and Paul were also in Fakarava to observe the shark hunting behaviour that Laurent Ballesta and his team had discovered a few years before. 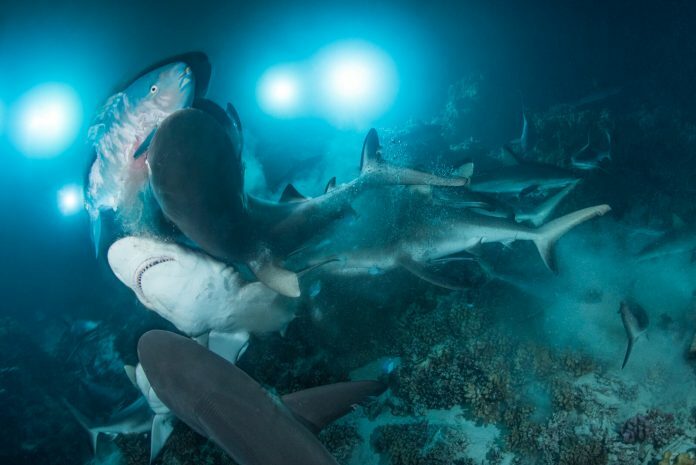 This expedition led Richard on to winning Underwater Photographer of The Year and British Underwater Photographer of The Year 2019 with his shot entitled ‘The Gauntlet’ of two grey reef sharks tearing apart a terrified parrotfish at night. Lorna fell in love with scuba diving back in 2011 during a trip to Thailand and Australia. Having always dreamt of seeing a sea turtle in the wild, her dream was realised on Australia’s Great Barrier Reef while training to become a certified diver. 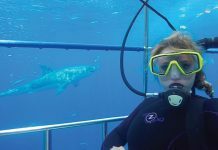 Since then she’s developed a passion for the natural world, writing about wildlife photography – both the on land and underwater kind – for the past eight years.